ApeSoft is a leader in Excel-based business intelligence, reporting, dashboards and Excel automation software. 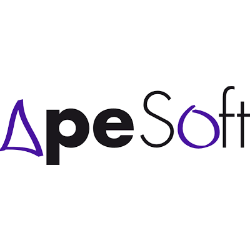 ApeSoft software is used by companies all over the world and in virtually every industry to improve decision-making, track corporate operational performance, and improve sales. DataCycle Reporting offers an easy-to-use, Excel-based reporting solution. The platform provides a full range of reports, from detailed operational reports for department heads to visually rich dashboard solutions for executives and decision-makers.